AUSTIN, TX – September 21, 2018 – On Monday, September 10, 2018, iTexico COO Guillermo Ortega participated in the kickoff of coding school Laboratoria’s Talent Fest, a series of intensive, 36-hour coding challenges sponsored by companies invested in Latin America’s up-and-coming women in technology. 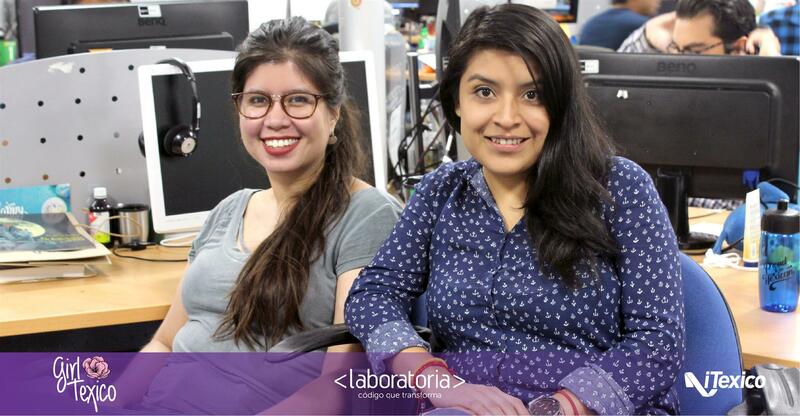 The Laboratoria Initiative offers complimentary coding training and job search services to women in Mexico, Peru, and Chile. It is also a pioneer in forging the new talent necessary to meet an increasing need for technical skill sets in the region. While millions of Latin American women between the ages of 15-24 are unemployed and without higher education, cities like Guadalajara and Aguascalientes, Mexico, are rapidly becoming epicenters of the global technology economy. To meet local IT businesses’ and American blue-chip companies’ need for high-quality developers, Labatoria is recruiting these women to become the digital leaders of tomorrow. iTexico, which offers end to end software development and management services through its Nearshore+ model, is in the midst of rapid expansion in the region. The organization, which already bears a robust presence in Mexico, recently opened two new facilities in Guadalajara and Aguascalientes to enhance customer service and talent acquisition competencies, as well as boost space for auxiliary training and a new wave of development, design, and quality assurance staff. Ortega and his team of experts believe their endeavors will greatly benefit today, as well as in the years to come, by actively supporting Laboratoria’s talented women in tech. As Mexico’s digital offerings continue to grow in 2018, the company is committed to employing a proficient talent pool with high retention rates. By focusing on their investment in people, they are able to expeditiously launch customized development teams for its startup, mid-market, and enterprise clients within a matter of 2-5 days. iTexico is devoted to providing multidisciplinary software development teams as a service for Mobile, Web, and Cloud. We provide end-to-end design, development, testing, devops, and support services by leveraging an innovative Nearshore+ delivery model. With its headquarters in Austin, TX, and wholly-owned delivery centers in Guadalajara and Aguascalientes, Mexico, iTexico has experienced steady growth every year for the last 7 years serving startup, growth, mid-market and enterprise technology-driven companies, including Carbon Black, ESRI, Microsoft, Integral Ad Science, HomeAway and others. For more information, please visit http://www.itexico.com.